Vocalist Jay Clayton has long been known as both an accomplished singer of standards and a fearless adventurer in the world of electronics. In this interview, Clayton talks about those dual personas and how she brings them together; discusses her work with Sheila Jordan, Theo Bleckmann and others; and talks about her early days in the New York loft scene. 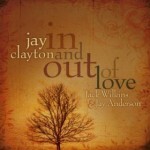 Learn more at jayclayton.com. 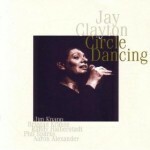 Tracks used in this episode: (from In And Out Of Love) Falling In Love With Love; Freedom Jazz Dance; (from Circle Dancing) Circle Dancing; Sappho; Ditto; (from In And Out Of Love) Sunshower.